There is actually quite a bit of work that goes along with RV'ing. 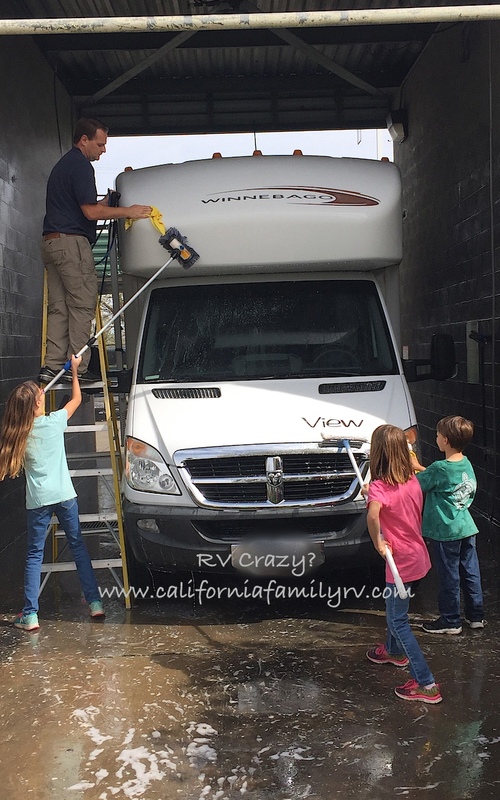 While we love the lifestyle, owning and using an RV does require maintenance. Every trip requires planning and preparation. Most of us know that once we get home, the work continues. And the laundry...ugh, I won't even go into the laundry! But for us who love the open road, experiencing nature, spending quality time with our families, the hard work is worth the amazing times we have on each trip. Last week we went on a whirlwind weekend trip to San Diego to spend time with our family. 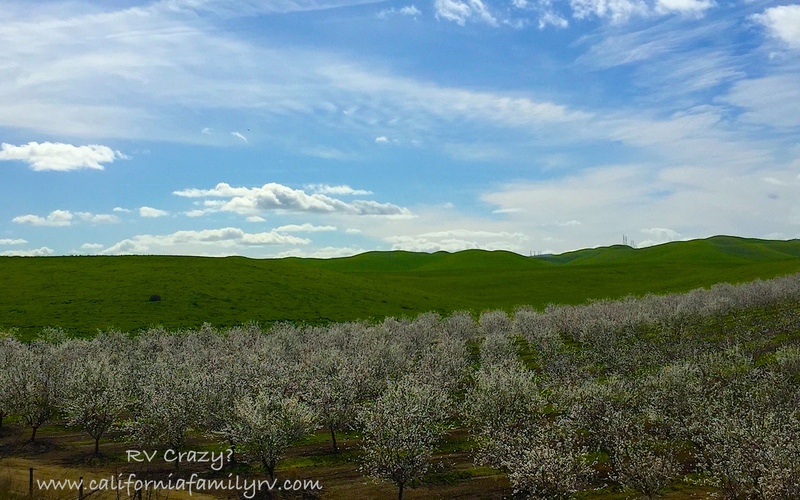 Driving down (and back up) the California coast in springtime is a beautiful, beautiful thing. We saw almond trees in full bloom, patches of brightly colored wildflowers covering the hillsides, and fields of fruits and vegetables beginning to blossom. And we saw bees, lots and lots of bees. The busy pollinators (along with their other flying friends) hit the rv with alarming frequency. When we got home and surveyed the damage, we couldn't believe how many bug carcasses dotted the rv. We did a quick rinse at home, then looked for a carwash that would accommodate our tall rig. We found one 10 miles away! So we packed up a picnic lunch, grabbed the kids, and went to work. We try to include the kids as much as possible in the work portion of our RV ownership and maintenance. 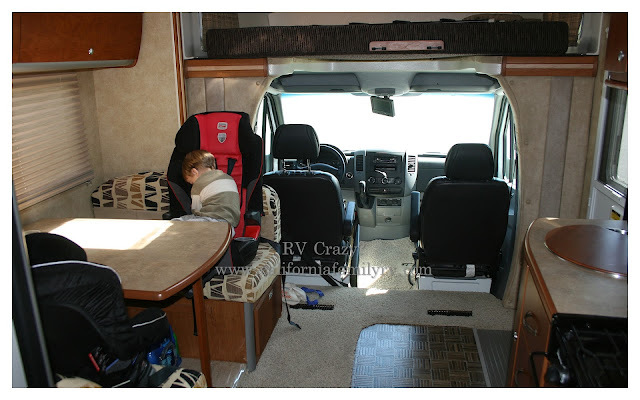 Our RV enables our family to go on many fun and exciting adventures that we all enjoy. While my husband does take on the bulk of the maintenance duties, and I normally do much of the trip prep and clean-up, we ask the kids to help out with age-appropriate tasks. We both feel it's important that they understand that owning a vehicle does require extra work and that we all need to care for her properly. We also notice that they are more careful while eating (for example) now that they are responsible for vacuuming under the table and their carseats after each trip. Sometimes they grumble a little (just being honest here) but normally they are very good sports and have become very good at their responsibilities. I was seriously astonished at how much of a help my kids were on our last solo (mom & kid) trip. We hope to teach them that we can have fun even when we're working. We all laughed and joked as we scrubbed off bug guts and got soaked with car wash over-spray. Even our one grumbly kid soon forgot her crankiness and scrubbed and laughed as much as the rest of us. After we finished, we praised them and admired our sparkling clean RV once again. Hopefully days like this teach them to be thankful for the things we have, and to take care of things they own. Or they may just decide that RV'ing is too much work and they do not want to do it when they grow up. And that's perfectly fine with us.